“We sent the suicide bomber following attacks on Sunni Muslims by Shia tribes in the area,” Saeed said. “We caught a man yesterday who was planting a bomb at a petrol station owned by a Sunni. We did it in response,” he added. 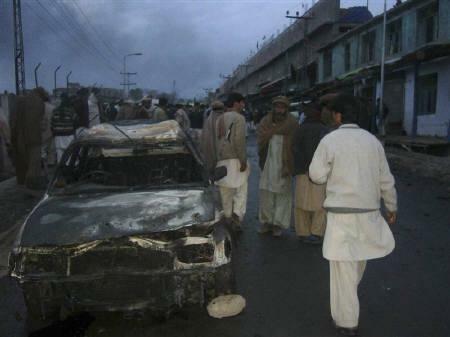 Saeed was part of the Tehreek-e-Taliban Pakistan (TTP) but broke away last year after disputes with the umbrella militant group’s leadership. He is said to have close ties with the Haqqani Network. Per details, the suicide bomber blew himself up amidst a large crowd of people that was busy shopping in the bazaar following weekly Friday prayers. The marketplace is close to both a Shia imambargah and a mosque and it was, therefore, yet to be independently ascertained whether Shias or Sunnis were the target of the attack. More than 40 injured were admitted to agency headquarters hospital in Parachinar, while those critically injured were moved to hospitals in Peshawar. There were also reports that three of the deceased had been killed by police firing at protesters from Shia community following the bombing.